The article caught my attention as I have lost track of what should be the monitoring of sustainable transport initiatives anchored on the pillars of EST as described in the National EST Strategy and the article. The formulation of the national EST strategy started under the administration of President Gloria Macapagal-Arroyo (DOTC Secretary Leandro Mendoza) and was completed under President Benigno C. Aquino III (DOTC Secretary Jose Dela Cruz). The formulation was initiated and supported by the United Nations Centre for Regional Development (UNCRD) and is unique partly because it is the only one to be completed among similar projects across ASEAN. The other countries like Indonesia, Vietnam and Cambodia were only able to get to the baseline and consultations stages of their own national EST strategy formulations. The Philippines National EST Strategy document eventually became an input for the formulation of the National Transport Policy Framework (supported by AusAID) as well as the National Transport Infrastructure Framework (supported by the WB). A major media network sponsored an experiment pitting a bicycle, bus and rail in a race from Trinoma to De La Salle University along Taft Avenue. The bicycle won but under conditions that are favorable to the cyclist even considering Metro Manila’s road conditions that are not bike-friendly (and not pedestrian friendly, too, in many areas). Would the bicycle have won against a motorcycle where both riders were of similar skills and experiences? Probably not considering the speed of a motorised vehicle even given congested roads. Would a lot of people consider cycling between, say, Trinoma and DLSU? Most likely not, even if you provide the necessary infrastructure and facilities like bike racks, showers, etc., short of building exclusive bikeways (e.g., elevated). I have nothing against bicycles and cycling. I have a bicycle myself and I have cycled between my home and the universities when I was studying and a visiting scientist in Japan. However, I have to caution people into thinking and oversimplifying that one mode is better than all others. If we pursue this line of thinking, then perhaps we should include walking in the discussion. I would like to think that there will also be a lot of people who would state that walking (and even running) is better than other modes including cycling. When comparing these two non-motorized modes, however, the advantages of one over the other become obvious – cycling is faster and requires less energy per person traveling using the mode. Such would extend to the motorized modes and comparisons should clearly show the suitability of certain modes of transport over others once distance and capacity are factored into the equation. Thus, we have rail systems as more appropriate over longer distances and are able to carry much more passengers per hour compared to, say, jeepneys. These are even more efficient in terms of energy on a per passenger basis. Further, we have to appreciate that we have to establish a clear hierarchy of transport systems and provide the necessary infrastructure to enable people to have all the options for traveling and especially for commuting. A lot of people reacted when the current Philippine President practically absolved the Department of Transportation and Communications (DOTC) from any fault regarding the issues on the EDSA MRT Line 3 during his recent State of the Nation Address (SONA). The main message in some articles appearing on mainstream and social media is that the President should blame DOTC for the mess. I have the opinion that both DOTC and the private entities involved (MRT Corporation, MRT Holdings) are responsible for the problem and its being continuously unresolved. Who is it that we could blame for the current state of the rail system? What do you suggest that the government or the private partner do in order for them to improve the line? That’s actually a very tricky question. We can’t really blame a specific person or persons but perhaps entire organizations that are supposed to be responsible for the mess that is MRT3. The main or root issue seems to be legal and not at all technical. The technical problems experienced are manifestations of a contract that is a textbook case for how NOT to do a PPP. I am not privy to the details of the discussions between the government and the people involved and behind MRTC so it is awkward to make comments specific to this matter of the contract and all its complexities. Perhaps the DOTC wants to follow “Daang Matuwid” by not budging to the terms laid out by MRTC? Perhaps MRTC is aware of the stakes (plight of the riding public) and is using this to force DOTC into a deal that is not favorable to government? We can only speculate on this without firsthand knowledge of their discussions. However, from the perspective of transport as a service and as a public good, I would say that MRTC indeed is aware of the public’s clamor for improvement. This is all over the news and social media in the form of commentaries, images and even videos of the undesirable experiences of those taking the MRT3. In the end, DOTC must decide whether it is all worth it to maintain the stalemate with MRTC considering that the public interest is at stake here and things will just become worse with inaction. Perhaps the government should move towards the best compromise they can live with considering the urgency of addressing the problem at hand. The first three articles seem to be more like reactions of motorists to activities that seek to promote road sharing and cycling in particular. The writers missed the point in so far as road sharing is concerned and are definitely biased towards the status quo in terms of road usage. However, some of their observations need to be qualified as certain roads seem to have been closed with little advise to the general public, many of whom take public transport. The last article is the more grounded one and explains the perspective of non-bikers who are public transport users. This is the calmer opinion among the four and expresses his points in a more objective manner. I was not there and I haven’t read yet any articles from the organizers or participants to the activity. I would like to give them the benefit of the doubt in so far as their advocacy is concerned. But then one also has to consider the valid points raised by other road users whenever road sharing is equated to cycling rather than a more balanced mix that is focused towards maximising the number of people or amount of goods transported. It is not only a question of space but of efficiency of movement. Bicycles might be efficient in energy but unfortunately it is not the most efficient in terms of the number of people carried between origins and destinations. And we can never decongest our streets in order to make more space for cyclists and pedestrians if we cannot come up with efficient public transport systems that will encourage people to leave their cars or not to buy one in the first place. It can be argued that people are actually opting for motorcycles than bicycles for commuting – another trend that needs to be understood from the perspective of people making these choices for their transport needs. Both are solid articles and places our attention to rural roads and particularly farm to market roads (FMRs). There’s a wealth of information in the articles as well as the links embedded that allow us to see past and present efforts on rural roads. It is good that government with the help of international agencies are investing resources on these roads and we hope that this will be sustained in order to effect what has been touted as inclusive growth. Rural roads are an important and integral part of of our transportation system. Often, attention is placed on national roads, which are under the jurisdiction of the DPWH. Local roads, however, are under various entities including the Department of Agriculture and various levels of local government (e.g., provincial, city, municipal). 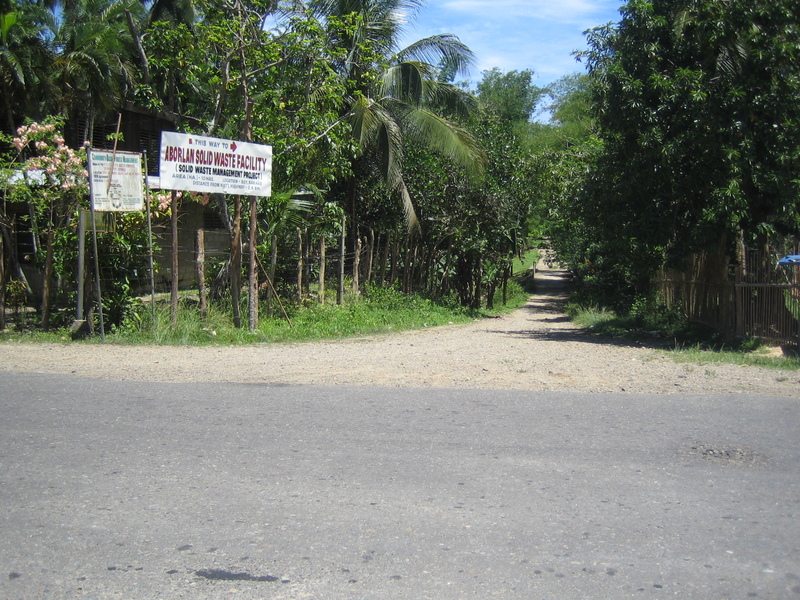 Of course, there are roads that are rural but are national and therefore under the DPWH. But most roads are classified as local and therefore would not be directly under that national agency. In fact, 85% of our roads are considered local and those classified as rural comprise perhaps more than 70% of the total roads in the country (i.e., national roads can be urban or rural, and city roads include those in the rural parts of cities). Rural roads including FMRs are essential as they provide basic access to jobs, education, health services, markets and other services that could help alleviate poverty and promote development in rural areas. February 8, 2014 5:54 pm / 1 Comment on About me? Looking at the data on which articles on this blog have been read lately, I couldn’t help but notice a lot of hits on the “About” feature of the blog. I don’t have my name there and there are only subtle hints as to who I am so I guess researchers like students are disappointed to find that they cannot quote a name of some person writing about transportation and traffic in the Philippines. I like to keep it that way so I remain somewhat anonymous while I continue to write about issues we have faced, are facing and will be facing for the foreseeable future. At times, I catch my material being used by our students at the university and others. I am flattered when I hear people talking to me about someone writing on a blog about transport problems and offering solutions and then learn that they were referring to my blog. I know that one implication of this preference of mine is that my opinions will remain mine and unattributed except perhaps to the few who know who is really writing these articles. That’s okay with me and I am comfortable about my somewhat anonymous identity online. That way, I can write more freely though I am aware of my responsibilities as a writer. I try my best to be fair while being firm in my opinions in my writings. I’ve known many persons who have served and continue to serve in government and to be honest, everyone did good in one way or the other so credit should be given where and to whom its due. Problem is that we continue to suffer a lot from decisions, policies and actions made over a long period and not the past few years and sadly many of those people responsible for such are very much around in government or in the private sector. Even worse, nadadagdagan pa as we have seen in more recent times. I know that there are many others who are more experienced and can write better than me. Unfortunately, many of them don’t use this medium for getting information and factual opinions out there. Many prefer to publish in technical journals or present in academic venues like conferences and symposia, and would likely only make an occasional comment on Facebook (if they’re on FB) about transport/traffic-related articles posted there. Then there are those who feel like its their responsibility to reply or comment on whatever is written by others that they don’t quite agree with. One such person even wrote a multiple-part article in reply to an opinion article that he didn’t agree with. Now that’s what I call overkill! It is unfortunate and frustrating for me that if I were to look back at some of the stuff I’ve written, I could just copy and paste the entire article today and it won’t matter because we haven’t gone anywhere near a solution to certain problems that have been lingering for quite some time now. Yes, that’s how serious our problems are in this country! And that’s what makes me keep on writing in my own way and writing about transport and traffic, not about me.